In Skyrim, the three gargoyles will emerge from their stone encrusted states in the final room in Castle Volkihar Ruins. The low level hero can probably handle one or maybe even two gargoyles but will surely be pulverized by three gargoyles. 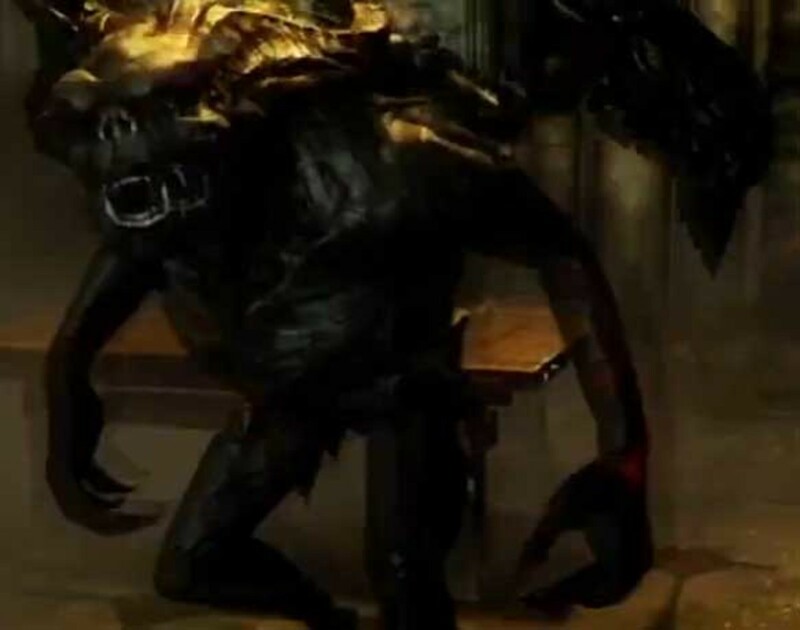 As the hero searches the final room for the exit into Valerica's study, the stone statues crack open one by one and the gargoyles appear to attack the hero and Serana. This will guide the low level hero with tactics to defeat the three gargoyles, and also show the hero how to get past the final room in Volkihar Ruins into Valerica's study. The best way to defeat the three gargoyles for the low level hero is to split them up. 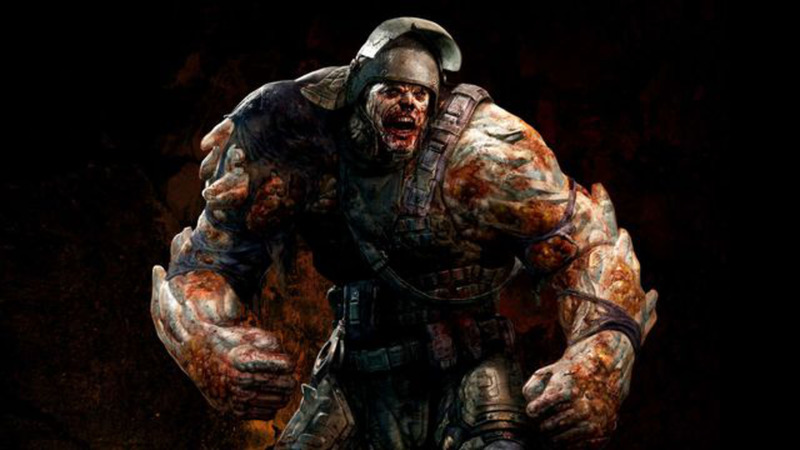 This means that the hero must get the gargoyles to chase him through Volkihar Ruins. As the gargoyles chase the hero through the ruins, the gargoyle furthest back in the queue will become less and less interested and will eventually fall behind. 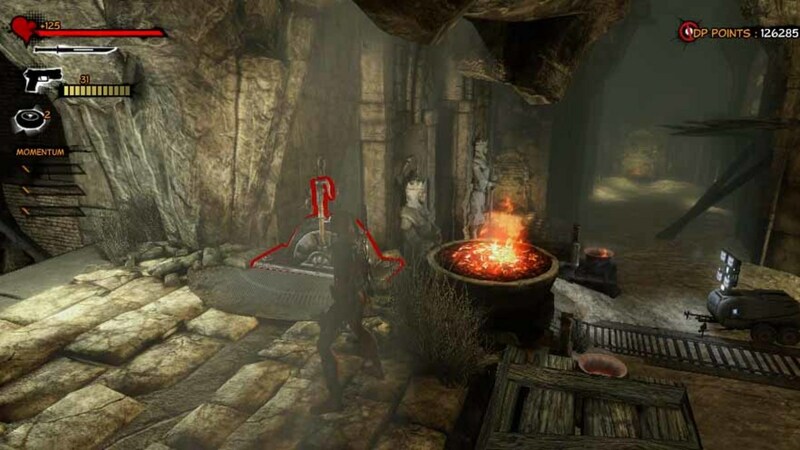 It may be necessary for the hero to memorize the way around in the Volkihar Ruins to effectively run through this area without hitting too many dead ends and without being hit too much by the gargoyles. Eventually, the hero will arrive at the first room in the Volkihar Ruins where the hero emerged from the staircase (from the moondial) at Volkihar Courtyard. The final gargoyle will march into this area determined to put down the hero. However, if the hero runs into the alcove that leads to the staircase from the moondial, the gargoyle will not follow the hero into this area. So the hero can run out of this alcove, provoke the gargoyle by attacking him, and then run back into the alcove again. This will give the hero some breathing space and some time to heal up if damaged. However, the hero should come out of the alcove every so often to attract the gargoyle; otherwise it will disappear into the final room and the hero has to lure the gargoyles out again. 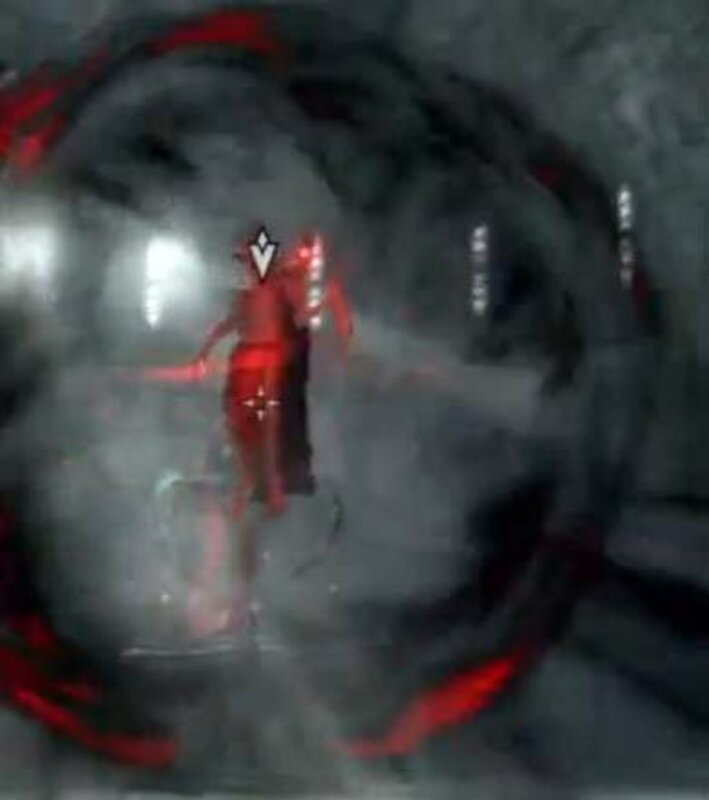 It is likely that if the hero takes Serana to the final room in Volkihar Ruins, she will stay there to fight off the gargoyles. She will rapidly be subdued by the gargoyles and will be unavailable for the fight against the gargoyles one at a time in the first room in Volkihar Ruins. 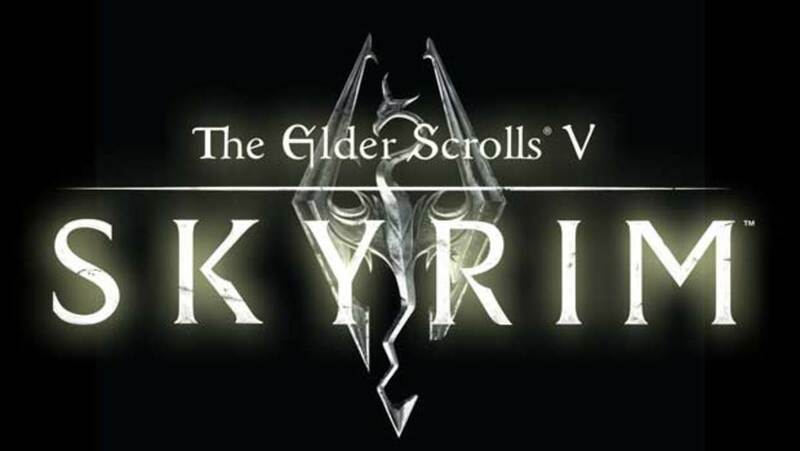 To solve this problem, once the Volkihar Ruins have been cleared right up to before the final room, bring Serana back to the first room and ask her to wait there. Then lure the first gargoyle to this room as suggested above and attack the gargoyle with Serana. Alternatively, if the hero does not want to use this (ask Serana to wait here) approach, the hero can run into the alcove (the gargoyle will not give chase into the alcove most of the time) and exit through the door into Volkihar Courtyard. Serana will appear (even if she was subdued in the final room). Return to the first room with Serana and she will help the hero in defeating the gargoyles one at a time. The key here is to use numbers against the one gargoyle in the first room, just like the three gargoyles are using numbers to annihilate the hero. Serana will attack the gargoyle, the hero will attack the gargoyle and the hero can summon a gargoyle to attack this monster. 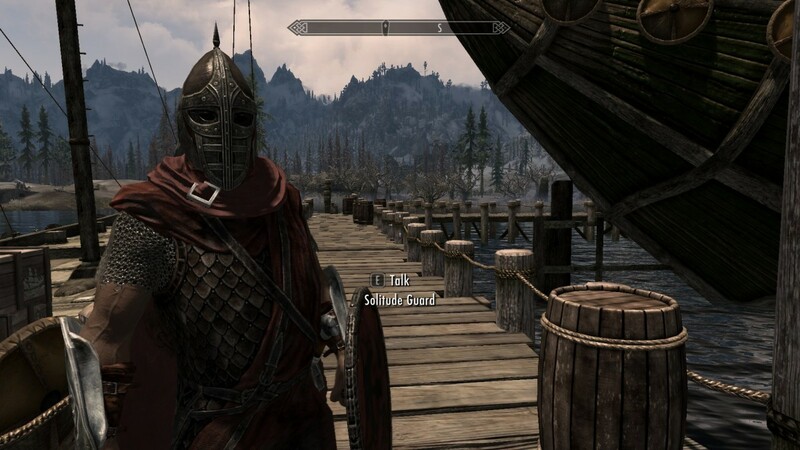 Use Serana to distract the gargoyles. Go into vampire lord mode and use melee attacks on the gargoyle. One could also use life drain but the bloodless stone gargoyle offers little in the way of blood and damage from the life drain attack. The summoned gargoyle will be quite useful in causing additional damage to the gargoyle monster. Using this technique, the lone gargoyle will be easily vanquished. Now go and lure the second gargoyle into the first room in the same way described above. Defeat the second gargoyle and go face the third gargoyle. The third gargoyle can be defeated anywhere since it is the only enemy gargoyle left. With the gargoyles out of the way, the hero can take his time to find the secret entrance into Valerica's Study. Find the fireplace on the left of the final room, and remove the wood pieces from the abandoned fireplace. Now turn the candlestick on the left of the fireplace and watch as the secret entrance behind the fireplace is revealed. Enter Valerica's Study and prepare to enter a dimensional plane of Oblivion.